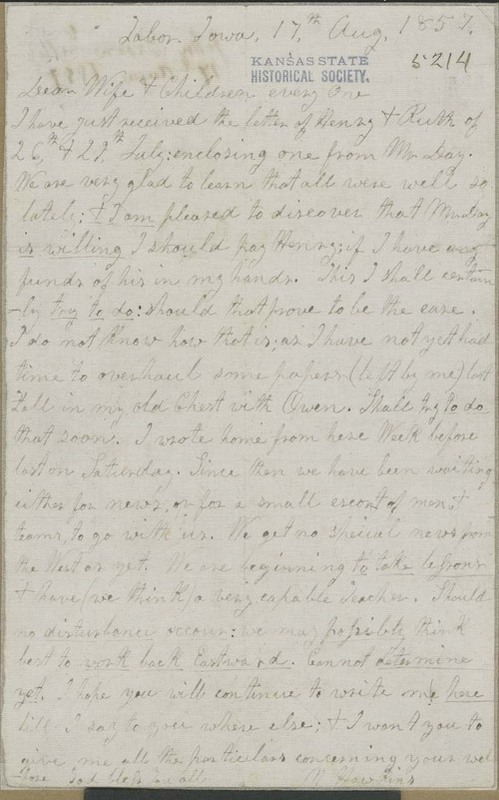 Using the alias Nelson Hawkins, John Brown wrote his family from Tabor, Iowa, on August 17, 1857, regarding some family matters and their slow trip to Kansas. He seems to suggest that if things continue quiet in K.T. he might soon direct his attention to the East.